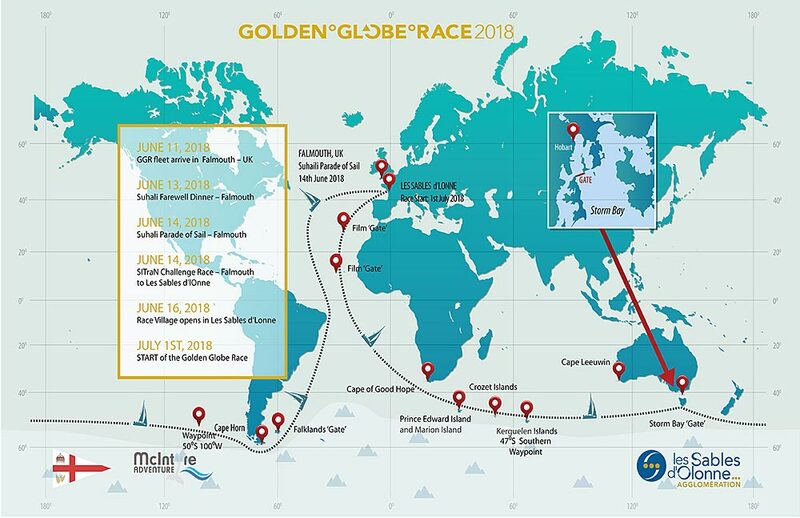 Meet the skippers from 15 nations preparing for the 2018 Golden Globe solo Round the World Race starting from Les Sables d’Olonne on Sunday July 1st. 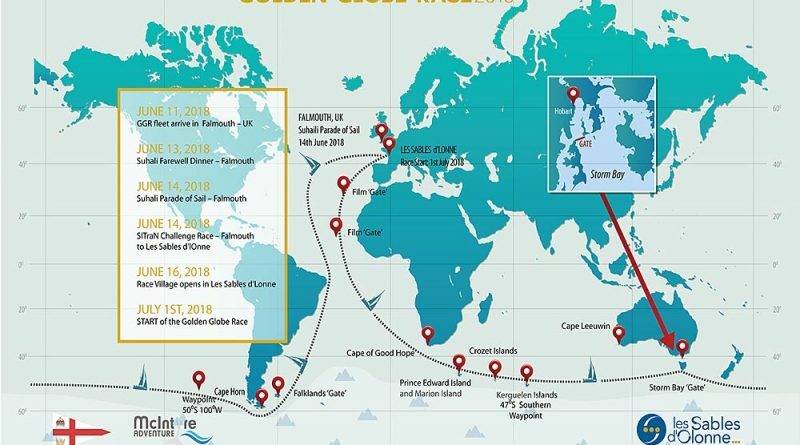 The Race marks the 50th anniversary of the original Sunday Times Golden Globe Race in 1968/9. Interview opportunities…learn about the 2 week celebrations in Les Sables d’Olonne…Suhaili 50 Falmouth Parade of Sail…and SiTRaN Charity race from Falmouth to Les Sables d’Olonne. The press conference is followed by a drinks reception on the Les Sables d’Olonne stand 1B18. At 14:30 Canal+ will hold a private preview screening of The Mercy for GGR skippers and media. This will be in English with French sub-titles. There are only 70 places so please confirm attendance (see below for RSVP details). To watch The Mercy trailer please click here.